She’s led parades the city, inaugurated the Broadway shopping centre as well as attended a VIP garden tea party at Buckingham Palace where she met HM The Queen. 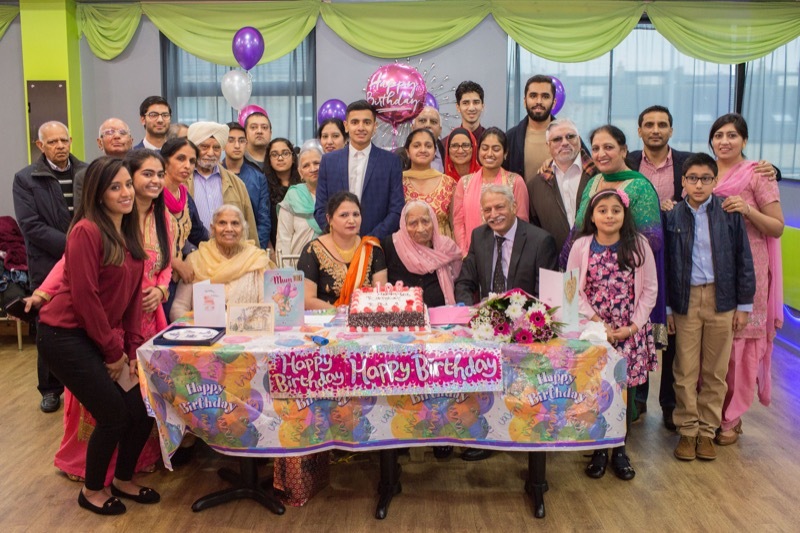 One of Yorkshire’s oldest residents, Katari Kaur, who holds something of a celebrity status, has just celebrated her whopping 106th birthday. 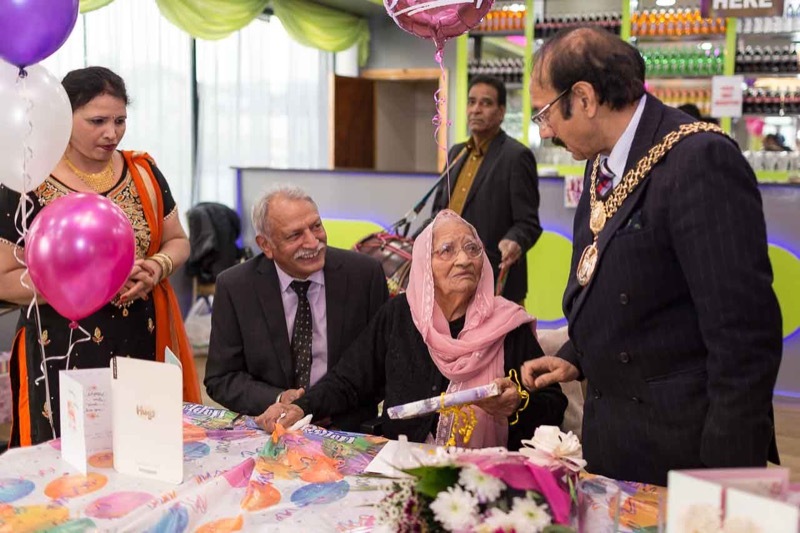 Attended by the Lord Mayor of Bradford, Councillor Abid Hussain, Katari’s 106th birthday party celebrations saw friends and family along with children, grandchildren and great grandchildren all gathering to show their love to the lady they fondly call ‘Bibi Ji’. 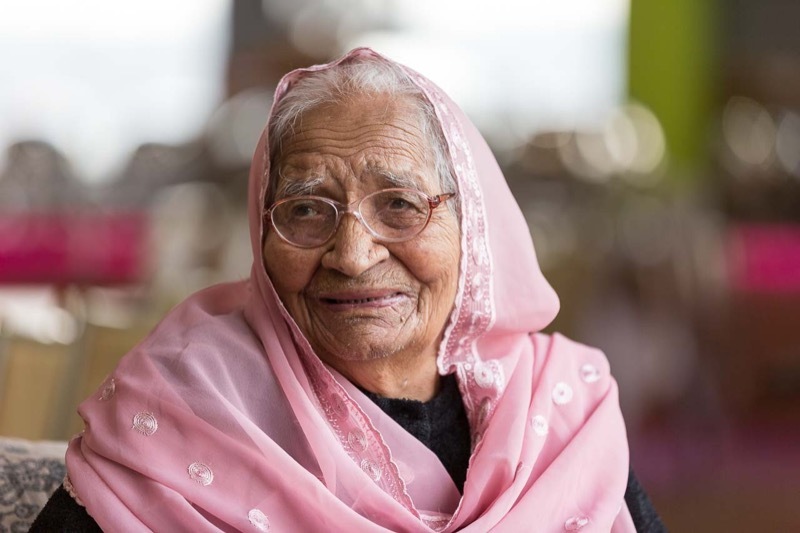 Katari who lives with her son Paul Chand in Girlington, Bradford, has been a regular star in Asian Express newspaper for over a decade, and survives as one of Britain’s oldest women. 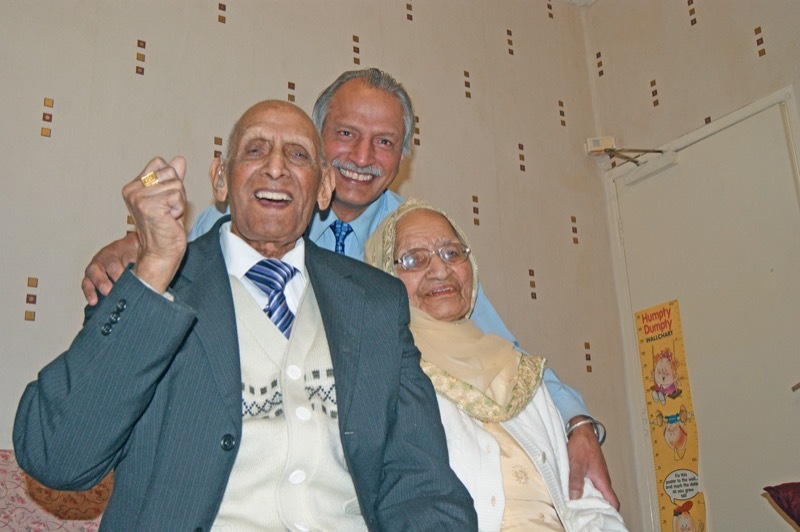 Katari and her late husband Karam Chand earned much-deserved national fame when they made a wave of headlines across the country as they celebrated their 90th wedding anniversary, making them the longest married couple in the world. Sadly, two years ago Karam passed away due to natural causes just six weeks shy of his 111th birthday. Paul says that the entire family had been devastated with the loss of his father. “Losing Papa Ji was a big blow to us all, especial for my mother. “The entire family cherished my father. With the grace of God he went peacefully. It's one of those things nobody can stop, everybody has to go,” adds Paul. The pair, who tied the knot in India in 1925 during the British Raj had moved to England 50 years ago. Their now four generation-strong family has a huge family tree stretching down from Karam and Katari, and includes eight children, 27 grandchildren and dozens of great-grandchildren.